In the past few years, iPhone cameras have experienced major improvements. Users can now make 4K videos on 30 GPS, and slow-motion videos can be made at 240 FPS. With such advancements and things such as Optical Image Stabilization, the iPhone is able to shoot great videos. However, users require a gimbal if they want to shoot a stable, professional-looking video. If you’re in the market for one, check out these 5 picks for making stabilized videos. 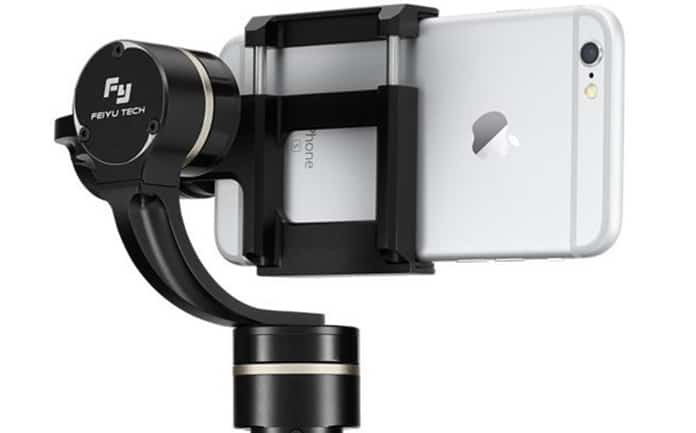 This gimbal comes with 3 axis for stabilizing the iPhone, as well as a complete 360-degree pan. Moreover, its 5-way joystick provides users with the ideal angle they need for that shot. The battery of the device can last up to 5 years, and the ¼ inch mounting thread at its bottom allows users to mount any ¼ inch accessories to the gadget. Gimbal can be bought for $224 from Amazon. The Android and iOS Zhiyun app let you connect the gimbal to your device via Bluetooth, and take pictures through the shutter button on the gadget’s grip. 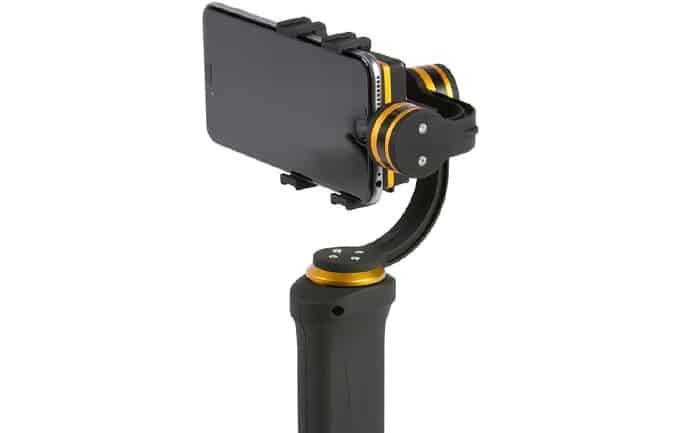 This is one of the best iPhone gimbals you can buy. 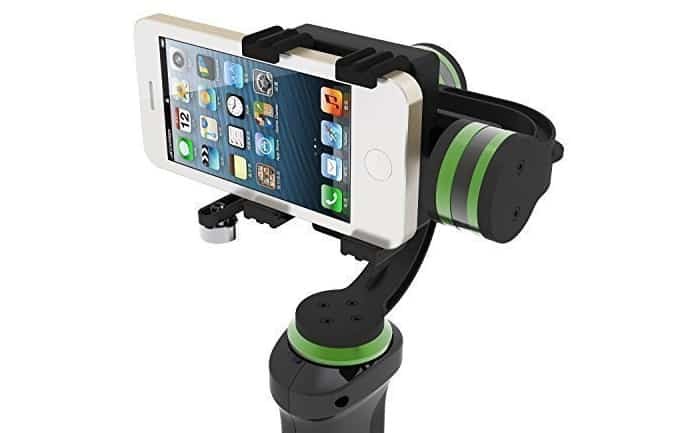 It comes with 3 axis stabilization, and keeps the iPhone in place by utilizing brushless motors. Alongside, the gadget’s cradle has a smartphone sensor that ensures that the impact of stabilization occurs when a smartphone is attached to the Osmo, so as to avoid unnecessary battery wastage. Speaking of battery, the battery life of Osmo can go up to 4 hours. Additionally, users can use the joystick for panning the device around while recording videos. It is priced at $159. 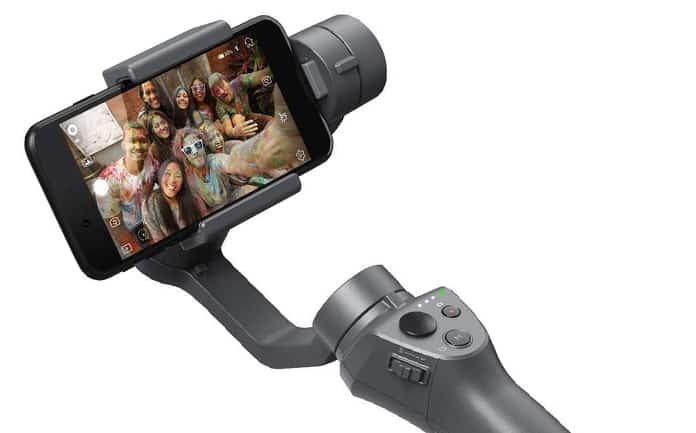 Users can even go live with the DJI Osmo application. If you’re looking for a less expensive option, consider LanParte HHG-01. It comes with 3 interchangeable clamps, two of which are for smartphones of different sizes, and the remaining one can support the GoPro action camera. The gimbal also has brushless motors, and 3-axis stabilization to ensure the users’ video is stable no matter how they’re shooting it. Included counterweights come into play if you’re placing a heavier device on LanParte HHG-01. It costs $179. LanParte HHG-01 can function up to 2 hours on a single charge. 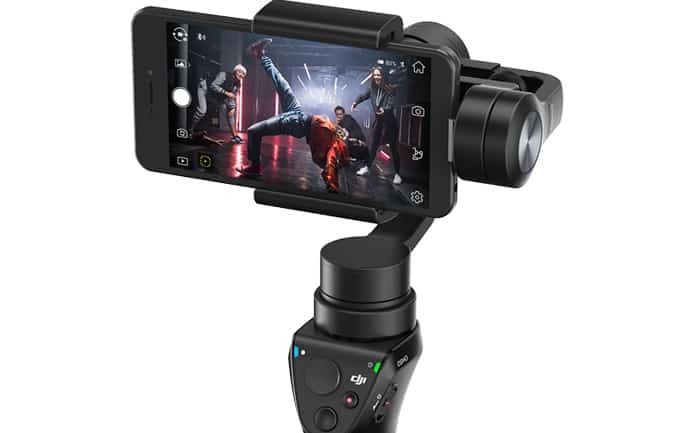 This iPhone gimbal comes with brushless motors, 3-axis stabilization and a gesture control system that enables users to shoot great videos with their device. The gimbal is easy to operate, and even easier to set up. Additionally, it has two smartphone cradles, so different sized smartphones can be easily attached with it. Ikan Fly X3’s Inertial Management Unit keeps the gadget level by anticipating users’ movement. This helps in making the smoothest possible video. You can buy it for $292. Battery lasts for 2-3 hours. This gimbal is great for recording well stabilized footage from your handset. It comes with good longevity, brushless motors for enhanced performance, and 3 axis stabilization. Feiyu Tech G4 Pro has five different modes. Tilt and Pan Following, Pan Following, Standby, Inverted, and All Axis Lock. You can push the LED button on the handle to switch between the modes. Two 900 mAh batteries power the gimbal, and its battery indicator tells users when a recharge is needed. There’ also a tripod mount built into its bottom. You can buy it for $113. There’s even an extra set of batteries included. Even though the latest iPhone models come with optical image stabilization, it never hurts to get extra support for stabilized shots. 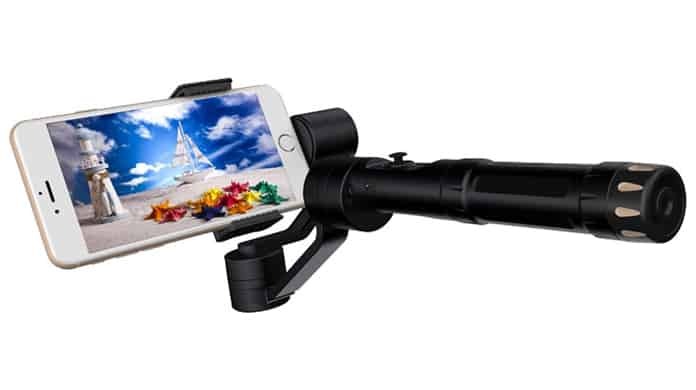 With the best gimbals for iPhone in this list, you’d be able to improve the quality of your recordings in no time.